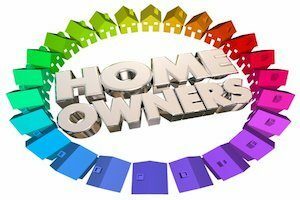 What are HOA governing documents? They are the essential documents that set forth how the Home Owner’s Association of your community runs, as well as the rules and regulations that you must abide by as a resident. These governing documents are necessary to have an HOA at all. They set forth standards and guidelines that help ensure fairness in the treatment of all interested parties and the preservation of home values. Two of the HOA governing documents are nothing more than housekeeping. The articles of incorporation and the bylaws of the association are the nuts and bolts of the HOA. Most residents never bother to look at them. The Articles of Incorporation is the legal document created by the developer to set up the association for the development or condominium before any homes hit the market. This document is necessary to make the nonprofit a legal entity. The Bylaws set out how the association does business, who can vote, procedures relating to budgets, how long board members can serve, and more. This information may be beneficial to some owners but is not critical for all of them to have. The Declaration of Covenants, Conditions and Restrictions, known as CC&Rs, is a much bigger document. While much of it is wordy and includes more housekeeping about the development, it also contains the rights and responsibilities of its owners. The owners must follow the guidelines set out in this document. Therefore, the portion concerning owners’ rights and responsibilities is one that all residents should read and understand. When reviewing it, they will find many points concerning their property addressed, such as expectations for yard care and where they can place fixtures like satellite dishes on the home. The central piece of your HOA governing documents is the rules and regulations section. It is the detailed information residents need to know and understand. Governing documents talk about the things you can do with your property and in the common areas. It helps to preserve the value of homes and makes life more reasonable for all association members. All members should become familiar with this part of the HOA governing documents. Even potential buyers should check out the rules and regulations of the HOA before purchasing a home to ensure the restrictions are ones by which they can abide. You should know the answer to the question “what are HOA governing documents?” If you do, you are a more informed homeowner and resident of the neighborhood, and one that is more likely to be content with where you live. Are you an HOA looking for better ways to communicate with homeowners? Contact our team at Ardent Residential today to learn more about the professional and cost-efficient HOA management services we offer.